The beloved Wałowy Square in Gdansk, Poland revolving around a picturesque fountain used to be a popular recreational area before the War. However, not much of the old beauty remains today, one hundred years after its creation. In order to address the issue with a place so important to the urban landscape, the city authorities launched an architectural competition for its restoration. 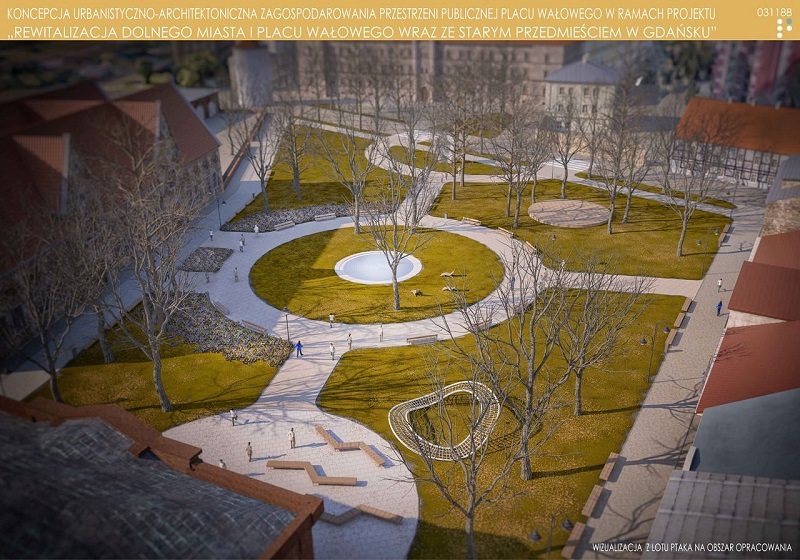 Following public consultations led by Biuro Rozwoju Gdańska (Gdansk Development Office, or BRG), the residents together with the designers developed the guidelines for its development and their demands were included in the competition regulations and constituted one of the criteria for the evaluation of competition works. Three works were accepted to the competition. 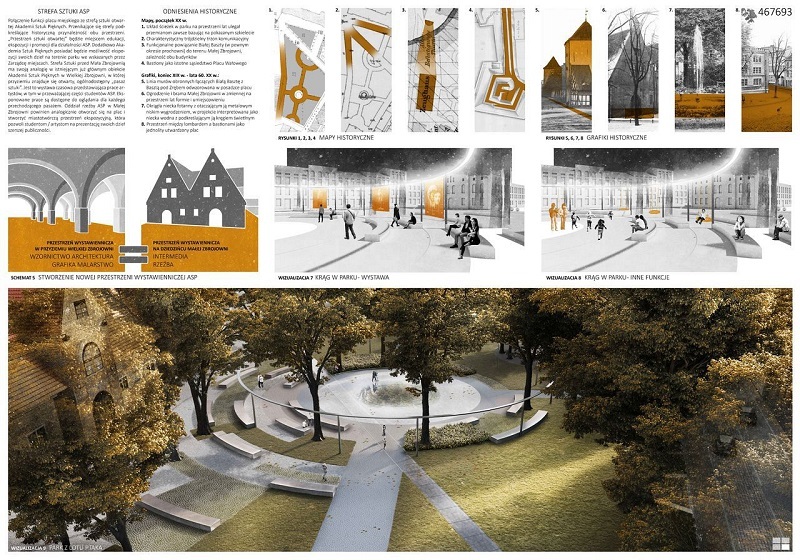 As the project that matches the best the guidelines and responds to the demands of the residents, the concept of the Gzowski Architekci studio was selected by the jury. As visible from the pictures, a light pergola in the form of a circle will surround the fountain, which after dark will highlight the beauty of the park's green spaces. The laureate received an award of 18 000 PLN (roughly 4,203.66 EUR). The author of the winning concept will be invited to negotiations on the development of project documentation that will enable the investment to be implemented. The jury also awarded the second prize of 12,000. PLN, which went to the Garden Concept Architects of the Landscape studio. The construction works are expected to take place in 2021.